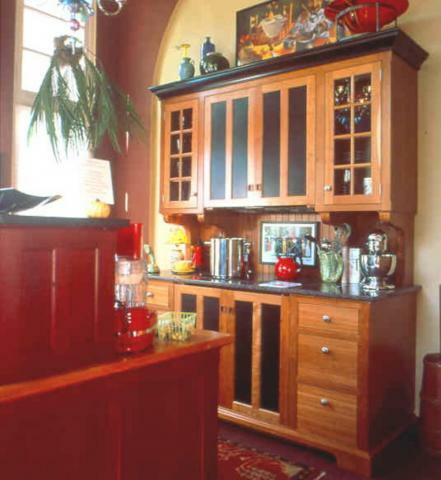 This three-piece unfitted open-plan kitchen features two Natural Cherry and one Bombay Mahogany Workstations. 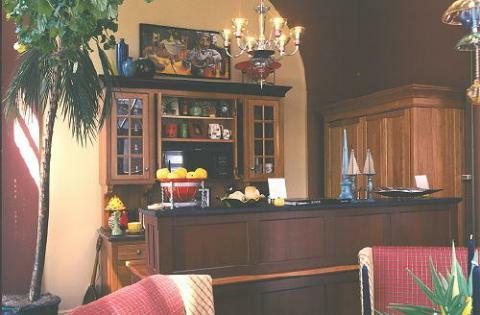 The image above was taken at the kitchen dealer’s showroom after it had won awards at a designer show house, as shown in the images below. 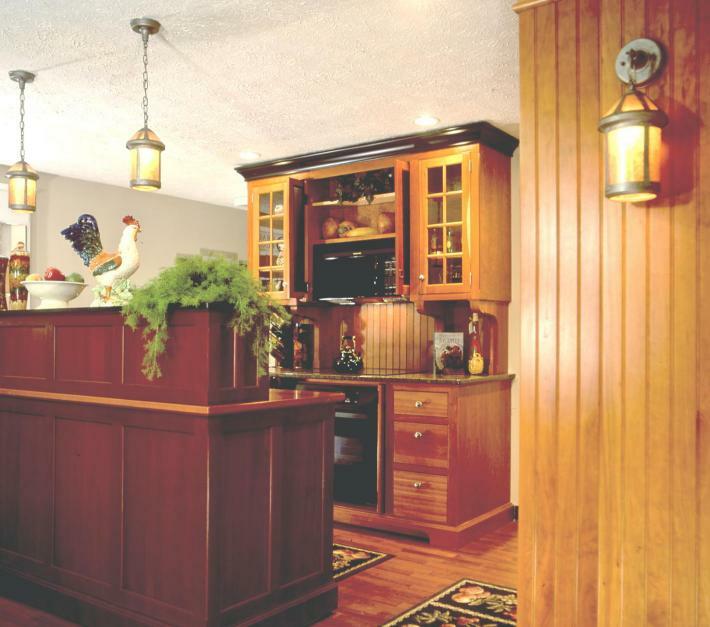 The kitchen was ultimately sold to a homeowner in Kentucky, showing how there can be extended life for workstations since they can be moved so readily! The (B&TP) range conceals an oven and microwave/hood above its 30 inch cooktop. An (SZ) Armoire conceals a Subzero 700 refrigerator/freezer and a full height pantry. The freestanding Island Sink (S) Workstation features a Kohler apron front sink and a concealed dishwasher. The (ST) Storage unit about hides the messy counter top from view while maintaining communication from the kitchen to the adjacent area. Note that the 3 counter tops are different. They vary according to their use, something that is really difficult to do in kitchens that have continuous counter tops. Below is the image that shows the range with the pocket doors closed. The dark panels are perforated aluminum painted midnight black. So if you had a choice (and now you do) which would you prefer to have, a piece of furniture that can conceal the ovens, or like the top photo, would you rather look at the appliances ALL of the Time? With YesterTec’s exclusive Technology, you only need to see the appliances when they are operating, so most of the time, you’ll just see a beautiful piece of furniture. So, for a Designer Show house, a Designer’s Showroom and a Customer’s Showpiece Home, these workstations proved to be appropriately beautiful, super functional and extremely durable through 3 moves.